If you've been following along on instagram this week you'll see that we've made some pretty big changes in our furniture arrangements. This all started on Friday night as we unloaded some furniture we brought back from our Pawleys house and realized the way we had things arranged before didn't really make sense. We've switched our living room and dining room in order to make the spaces work better for our needs. With that switch, the leather sofa and brown club chair went to live in the new den (the old dining room) and the family room became a blank slate again. 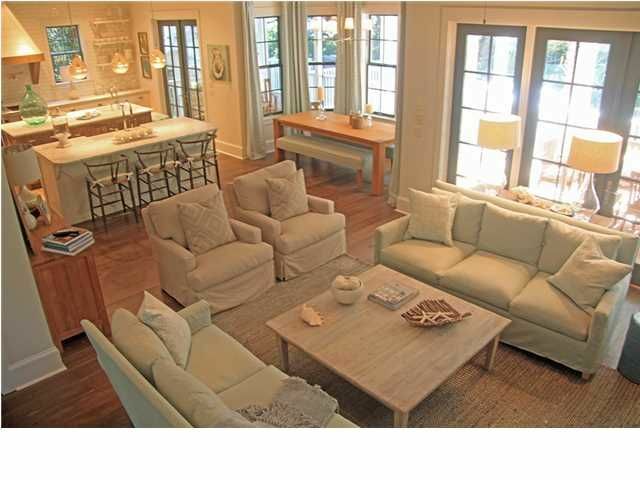 We put the white sofa and love seat in the family room and I love it! We stuck with an L shape facing the tv like we had previously. It's a really long and narrow room with lots of doors, so it's the only arrangement that works in this room right now with larger sized furniture. It's going to be so much fun to tweak the accessories! 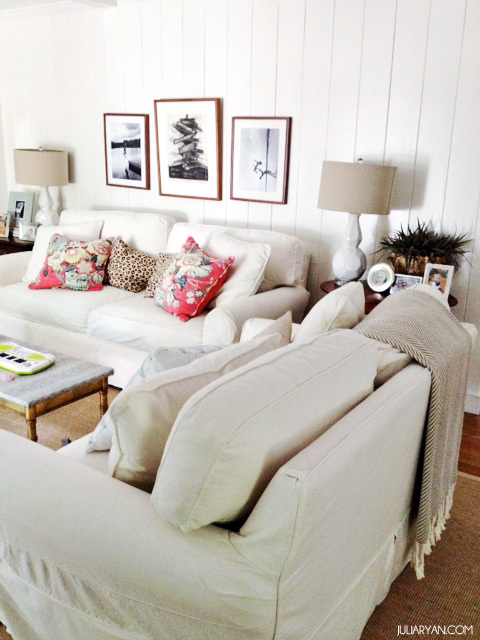 A white sofa (slip covered, of course) is the exact blank slate I've been craving for years. I love that I can change around pillows with the seasons or completely adjust the color scheme or feel of the room so easily now. I took the first three pictures right after we made the switch. 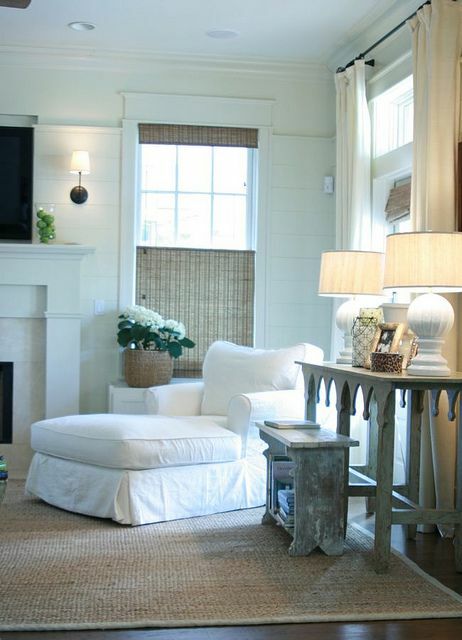 I knew the white tables, white planked walls, white beams, white lamps, and white sofa was too much white, even for me. 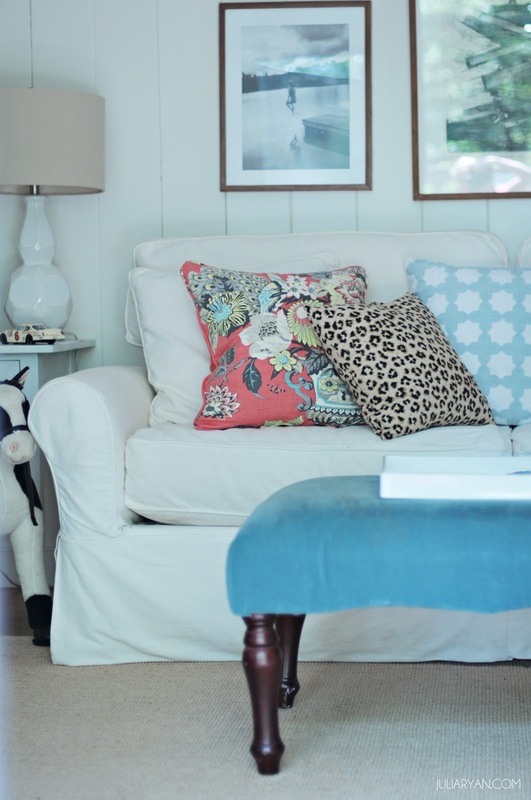 So I immediately hopped onto Pinterest and began rounding up some of my favorite similar spaces. I realized that I needed to add some wood tones back in. That really warmed up the space and tied in the three frames on the wall. I also think our blue velvet ottoman was better suited in the new den. 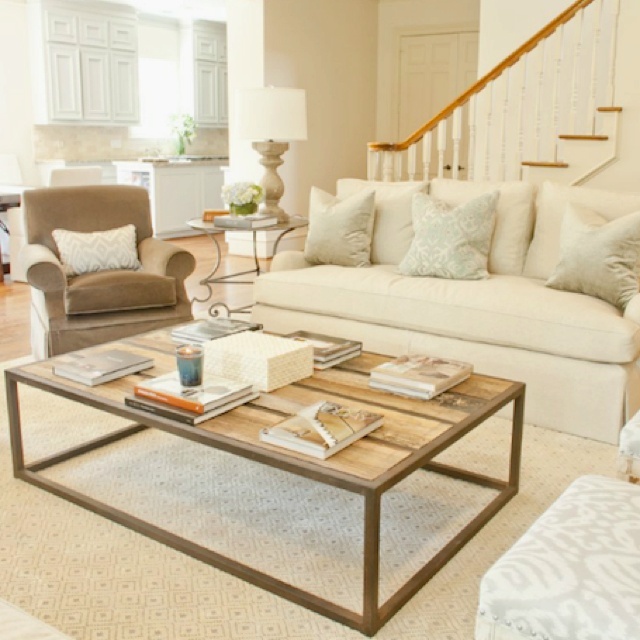 I want to find a large square weathered wood coffee table instead. The ottoman was just too much fabric and I like the texture more wood will add. You can see the layout a little better in the image above. I brought in two mismatched wooden tables and our old bench from the playroom. I also removed the blue pillow. I'm liking the tweaks better already. I think it's well on it's way! Here is a round-up of what I'm envisioning for the space. Ooo I really like the room!! It looks great!! 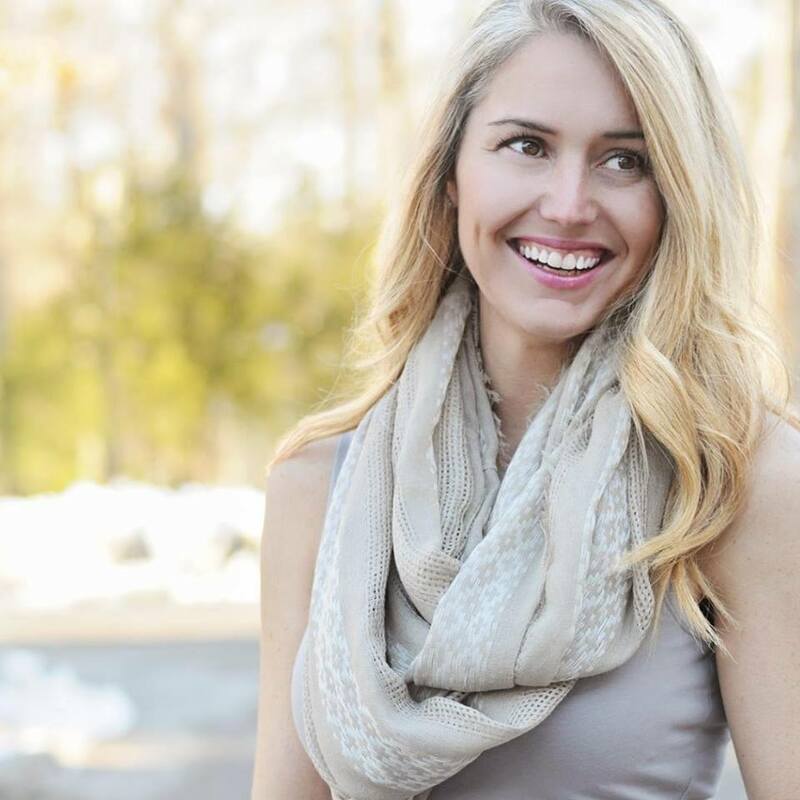 Love all the neutrals with the pops of color. How does the white sofa hold up with children?? I have been thinking about getting one but not sure if it would drive me crazy with 2 kids and 2 dogs. So great to be able to make so many great updates without having to spend any money. 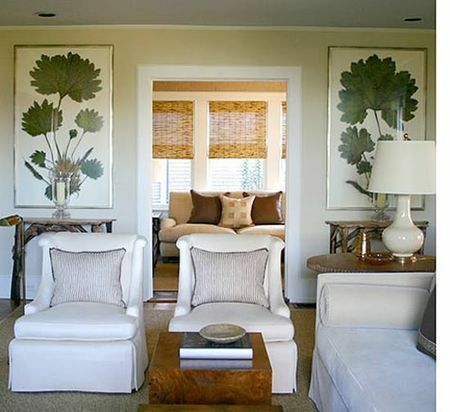 :) Love the sofas with the paneled walls. Looks great! Where is your dining room now? Love it! But same question as jenny, how white does the white sofa stay with kids? Love it! And love slipcovered couches..just washed mine! We got a white PB couch for Christmas and LOVE It, but now that we're getting a dog I'm getting nervous about our white couch. 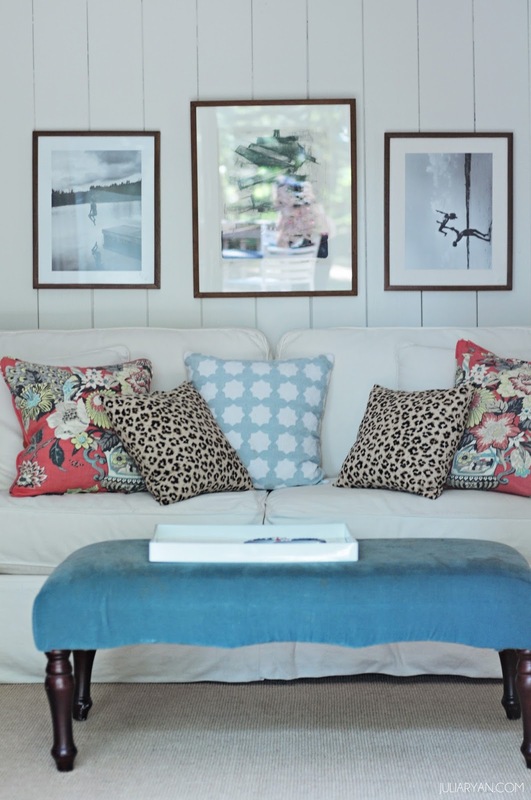 I love the pillows you have, and those fun prints above the couch too! So pretty! 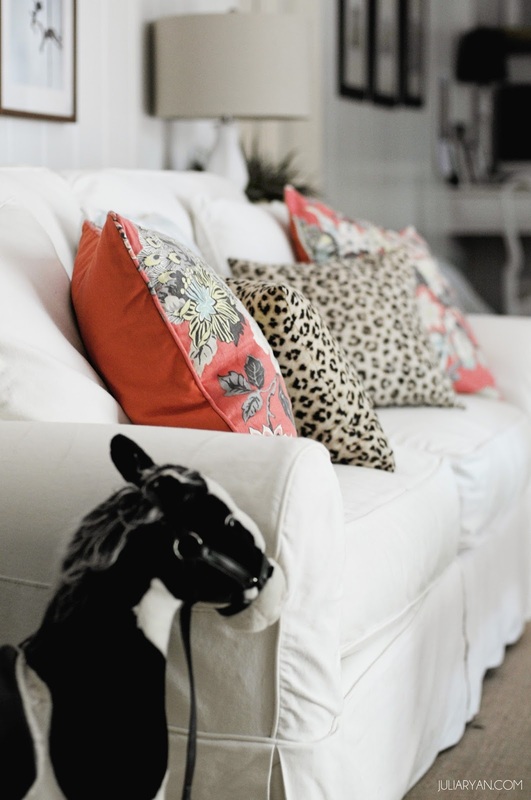 I love a crisp white sofa. 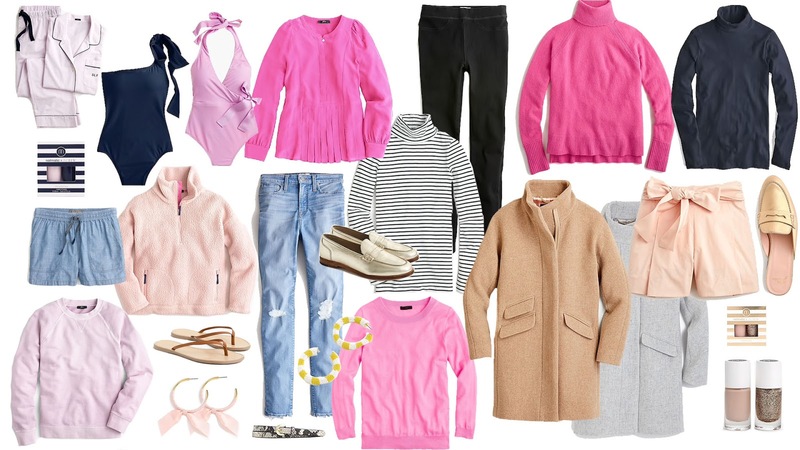 Yours looks fab! So bright and fresh! I don't think you can ever go wrong with white couches. Love! Can't wait to actually get our post-flood house photographed to share! Love the white sofa selection! So classic! Love everything about this!! 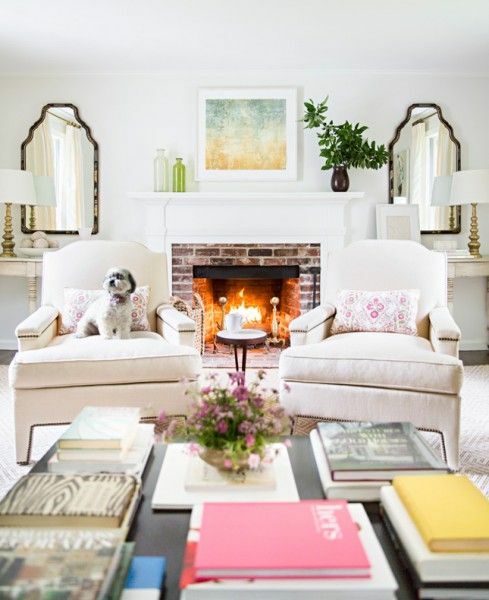 I'm dying for white couches but my husband refuses and I know he's probalby right with the dog and kid but they just look so much crisper and fresher than beige. Oh boy ....you know I am loving all of that white:) Love how you are changing it already....go girl! I looove white sofas! 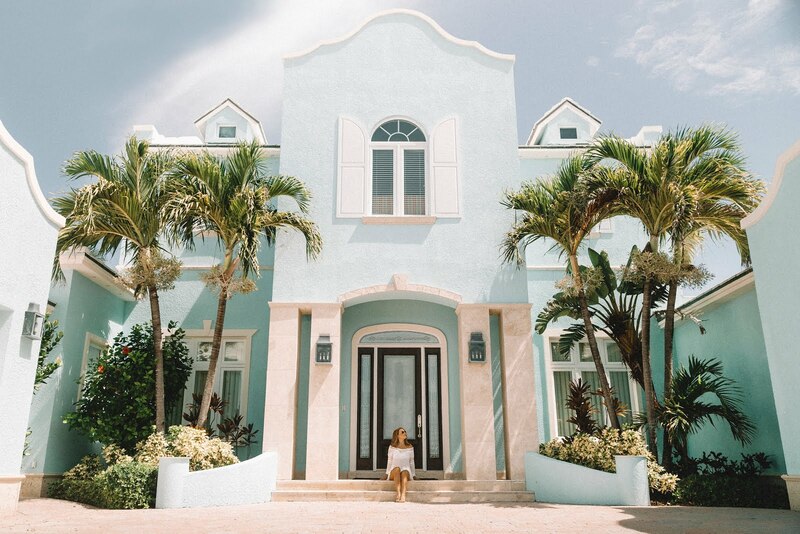 I think an all white house with pops of color here and there are the way to go!! 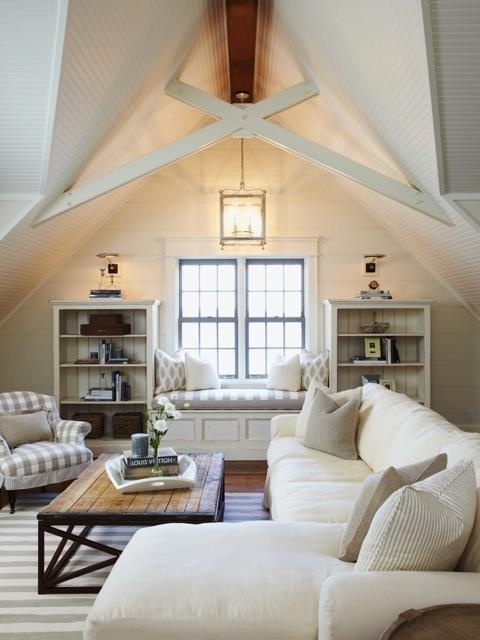 My dream couch is a white slipcovered couch! I love that they're not too fussy and can be dressed up or down. I'm loving the mix of leopard and florals on yours! I love all that youre doing. Now that youve lived in it for a while, youre adjusting it to the way your family lives, and this is soooo exciting. 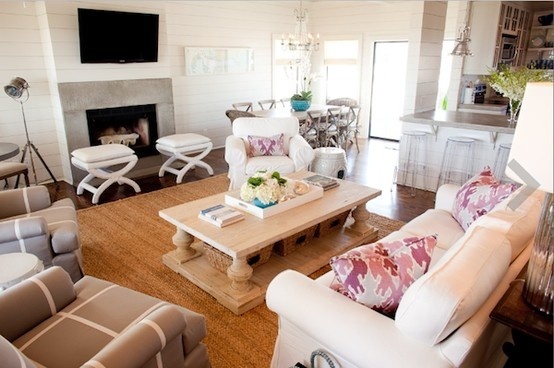 It is beautiful, love the white sofas- they are so versatile! Youre going to have a fab room cause you have such great taste! Happy Weekend. ok, weird question, but my den lay out is similar to yours. Is your couch centered with the fireplace? We're looking at new furniture for the room and I can't decide if that's importance to me or not. Thanks! Hi Julia! I LOVE LOVE LOVE your couches. Can you tell me where you go the slipcovers?